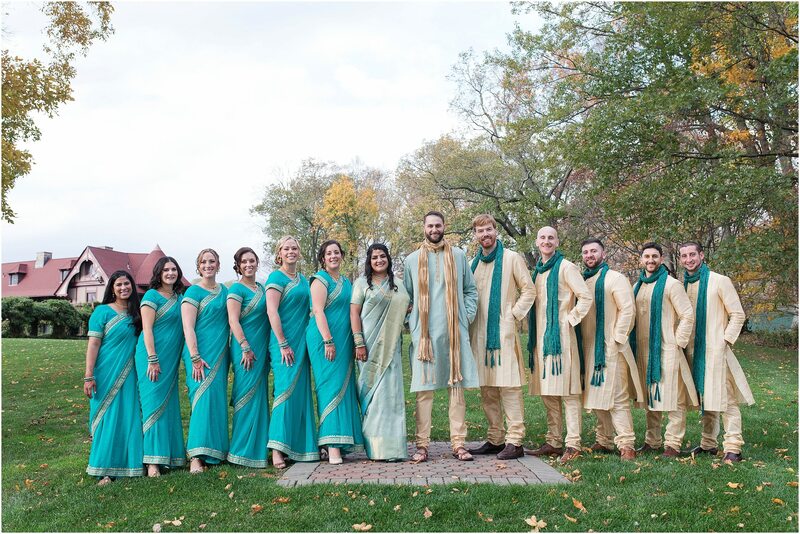 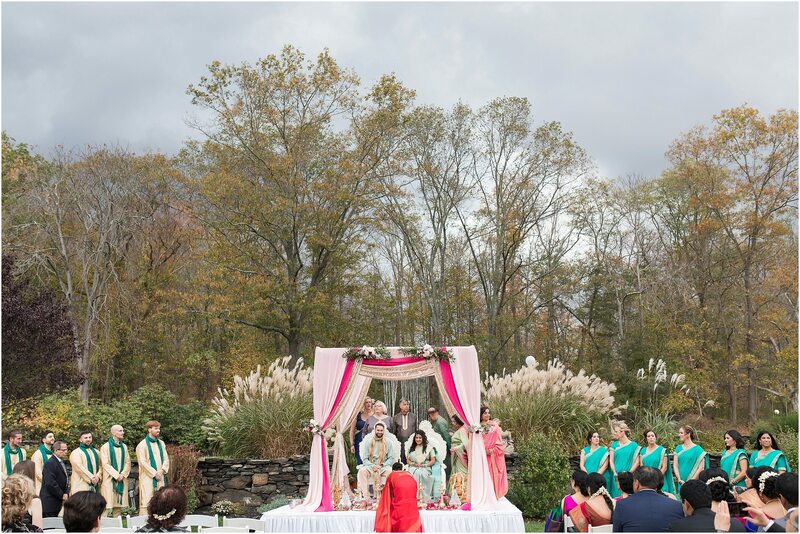 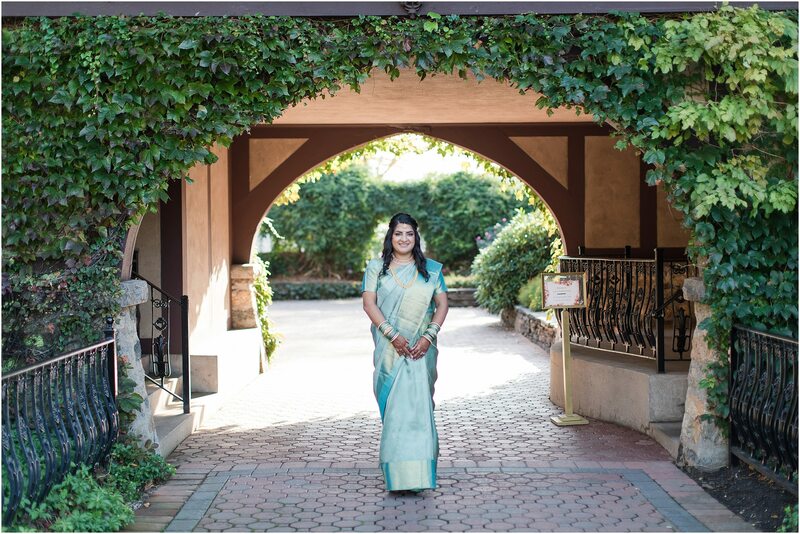 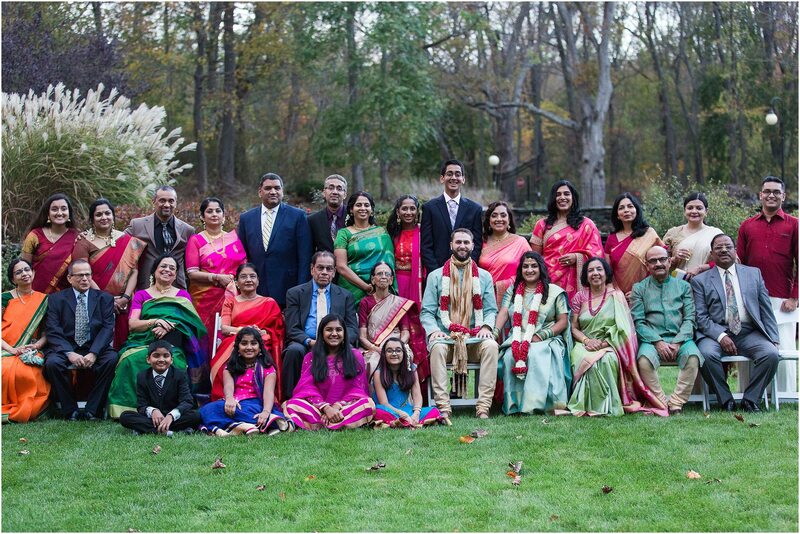 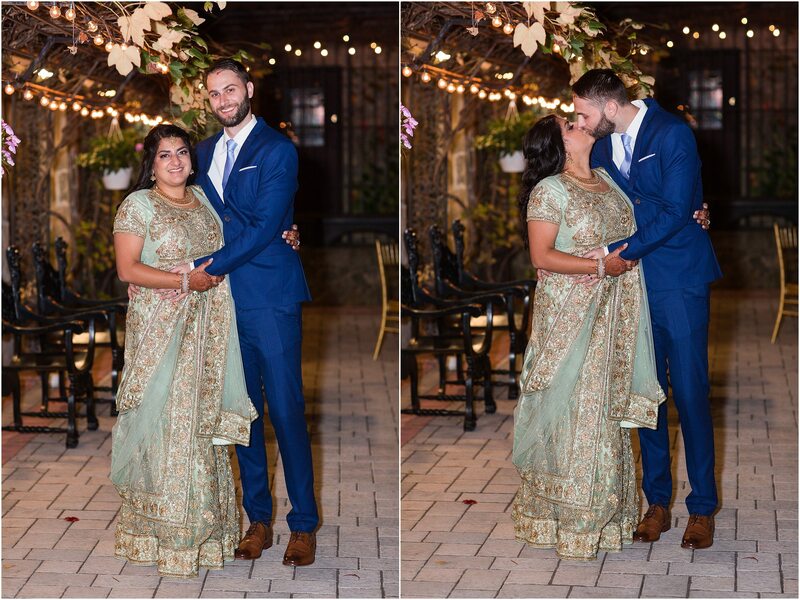 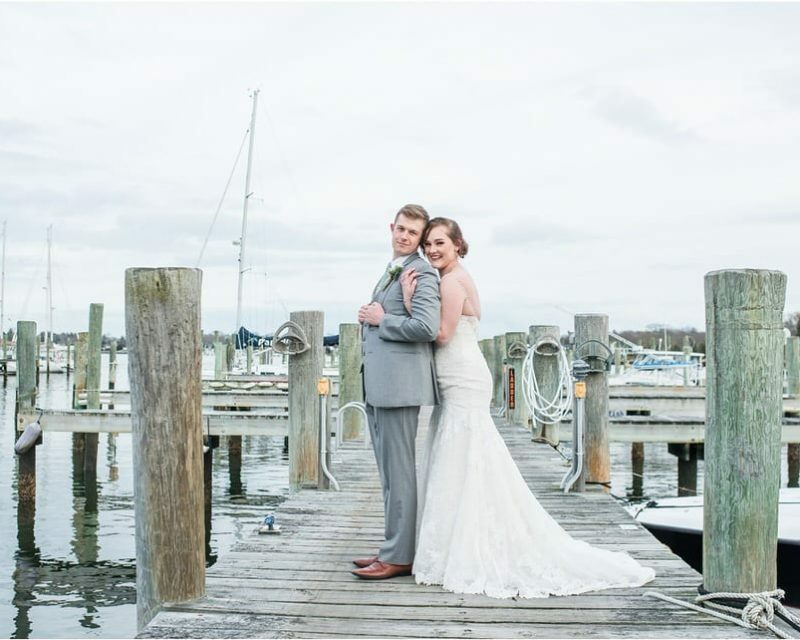 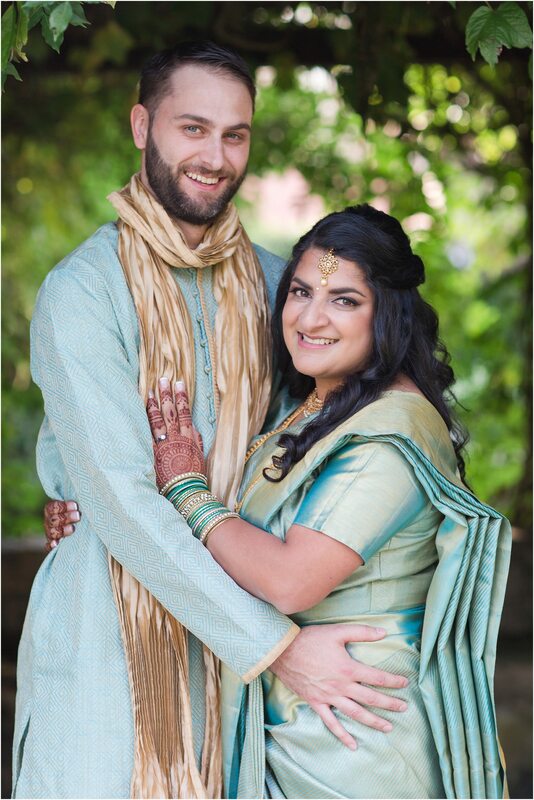 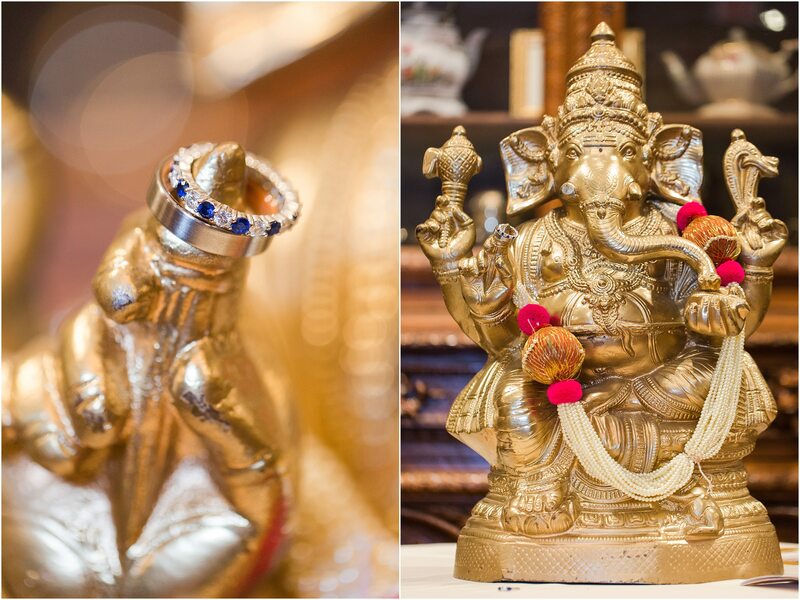 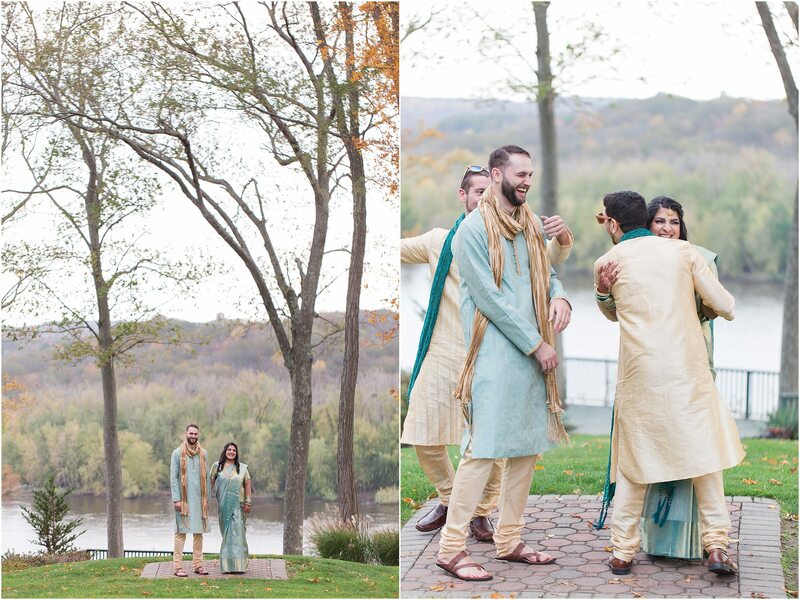 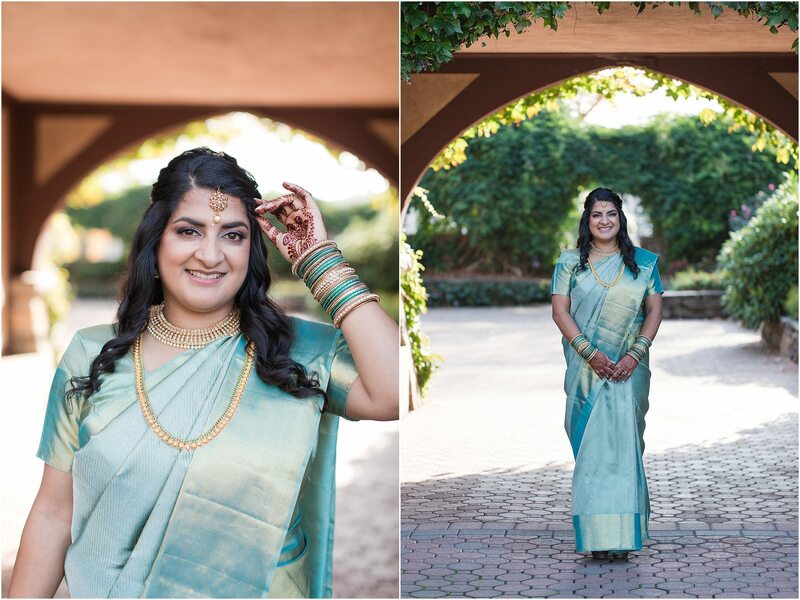 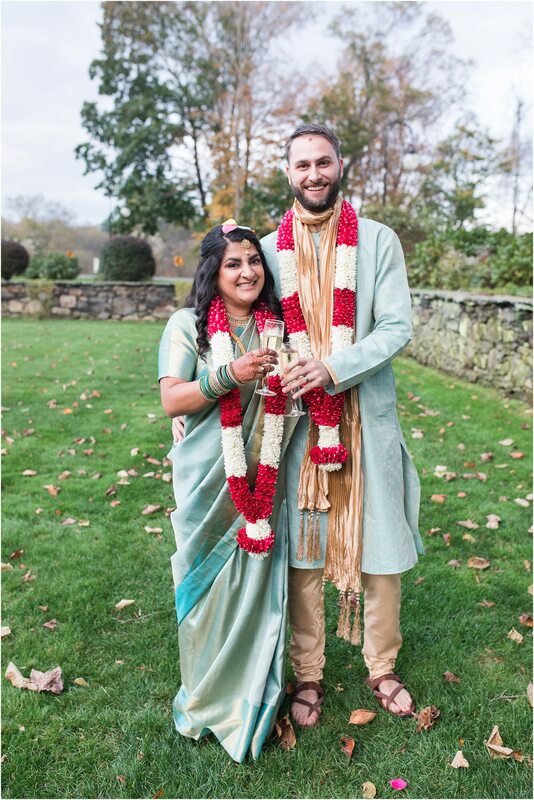 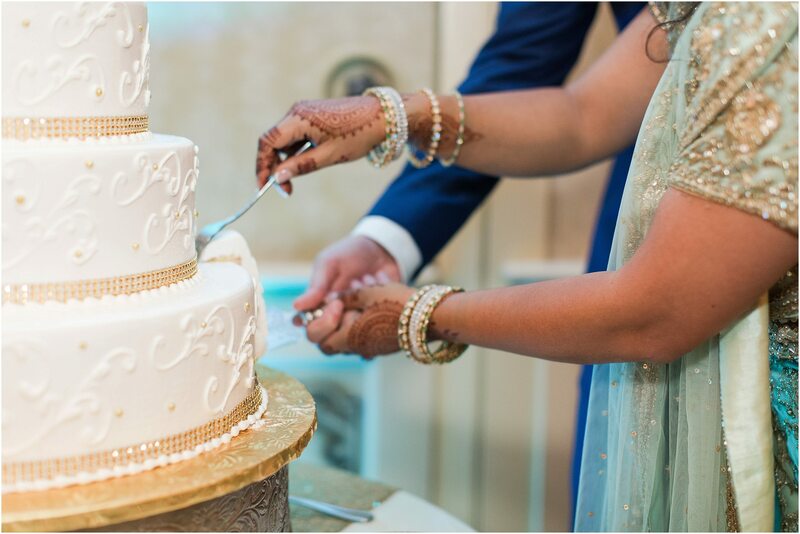 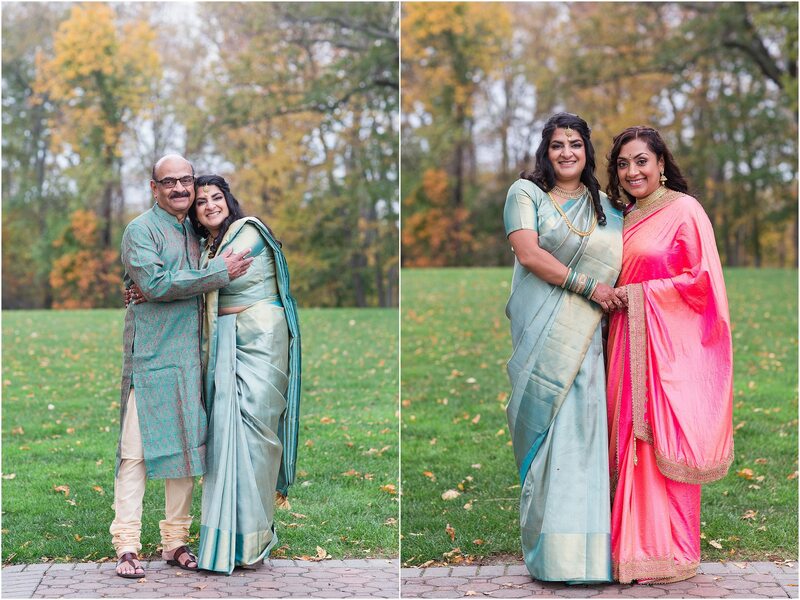 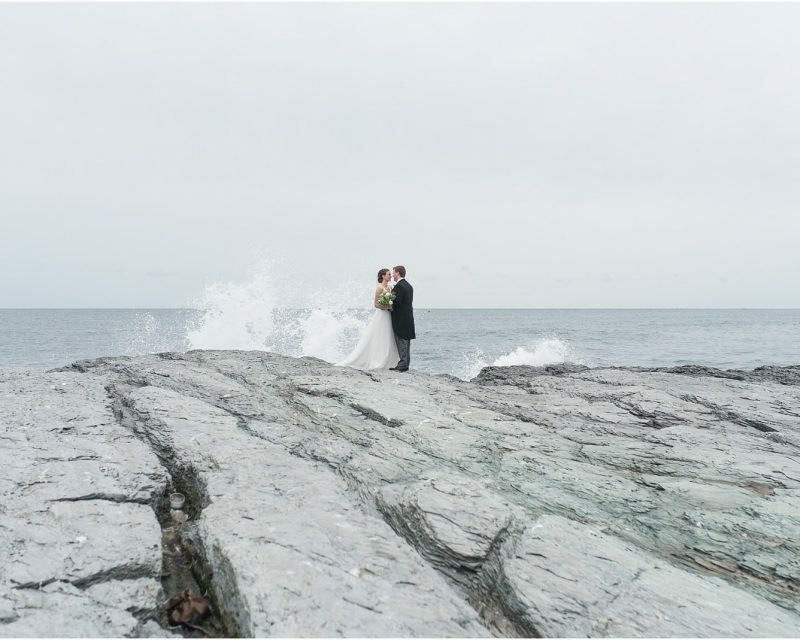 Minoo and Eric were married on November 3rd, with a ceremony and reception at Saint Clements Castle. 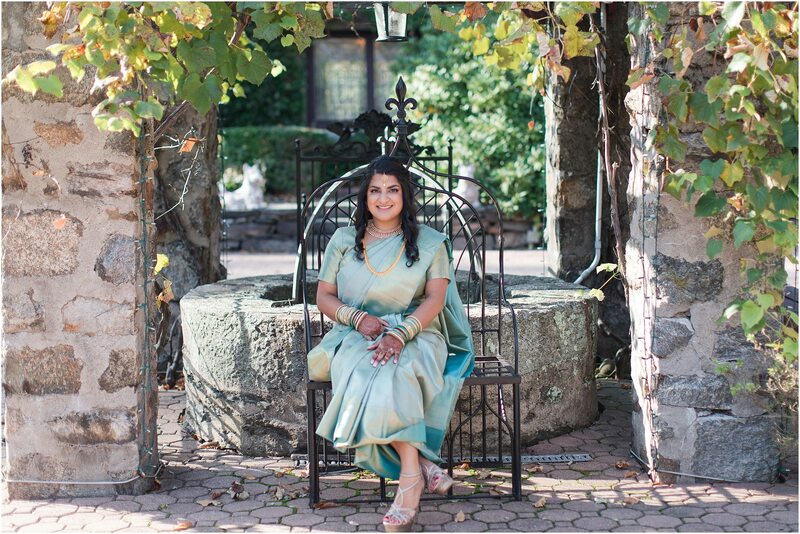 At the beginning of the day, I met Minoo at Saint Clements Castle, a beautiful venue overlooking a river. 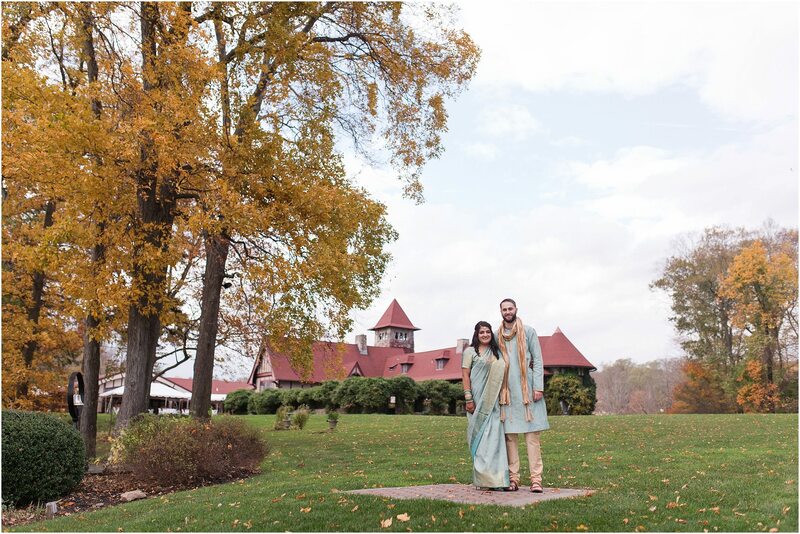 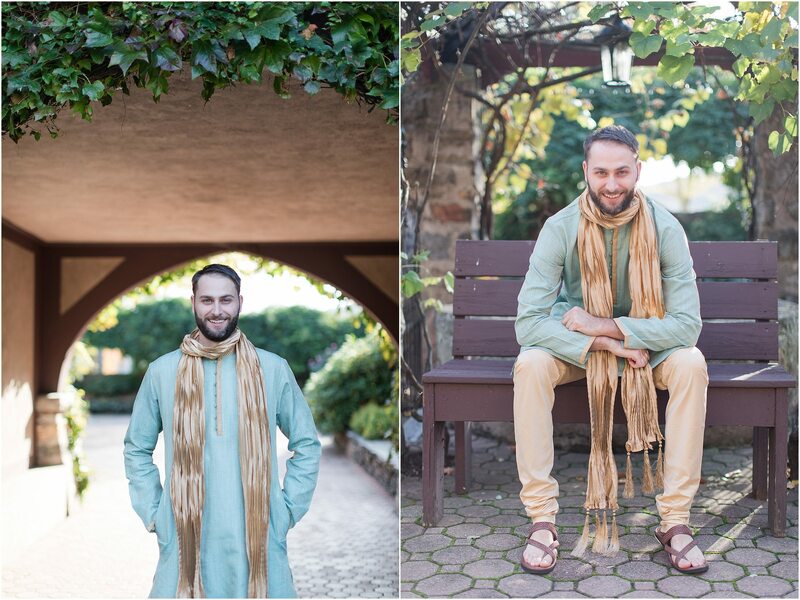 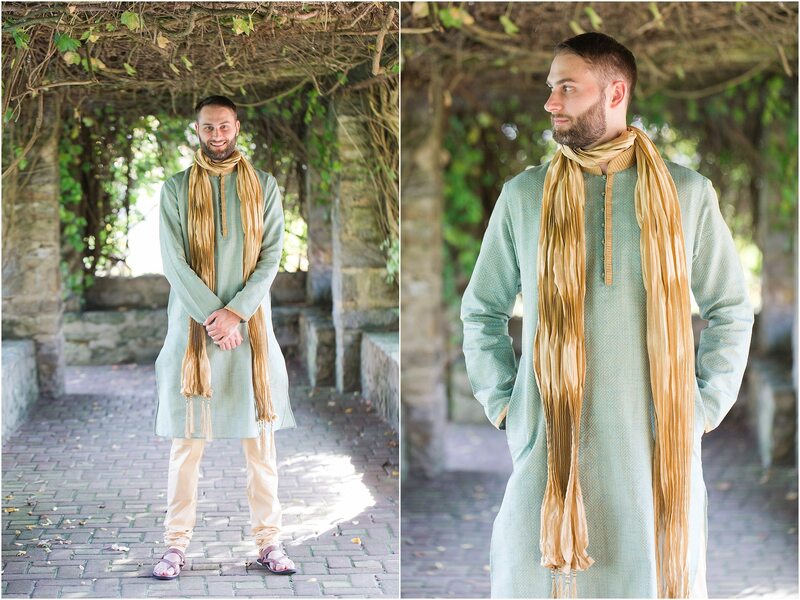 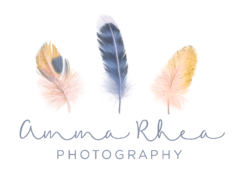 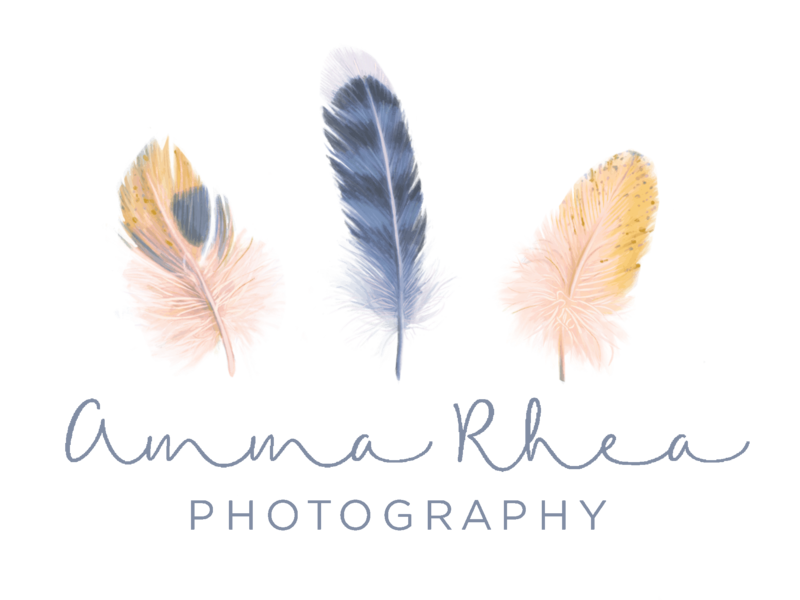 We walked around the grounds of the castle and took portraits in the gardens, enjoying the beautiful background the venue provided for us, before Eric met us outside for a first look where they saw each other for the first time on their wedding day. 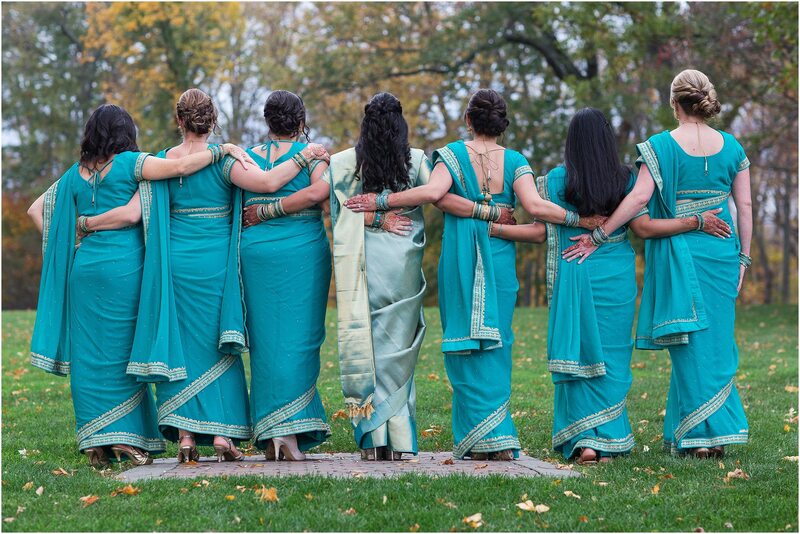 After they shared that beautiful, private moment together, we had their bridal party join us for photos followed by their family. 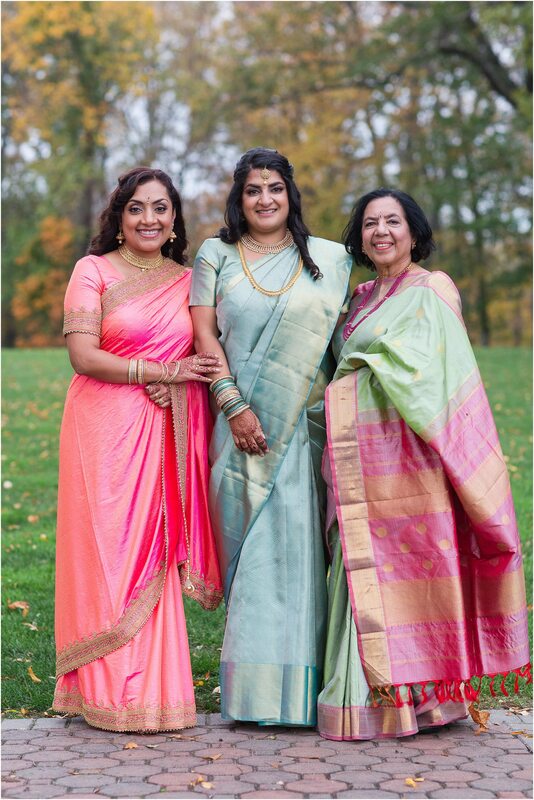 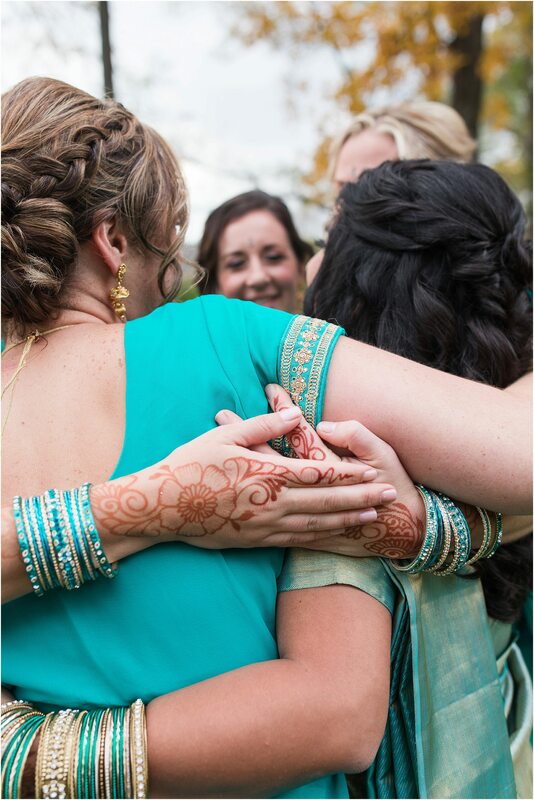 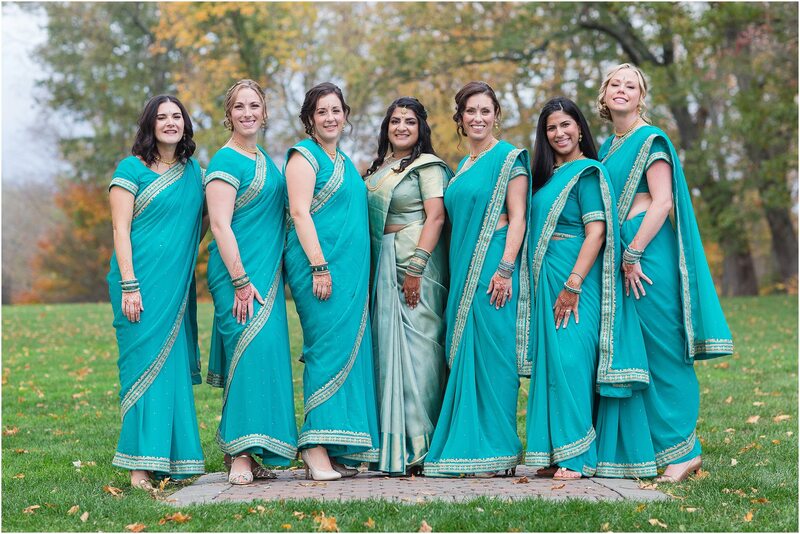 I loved the image of Minoo with all of the ladies standing with their arms around each other—it was the perfect picture of togetherness. 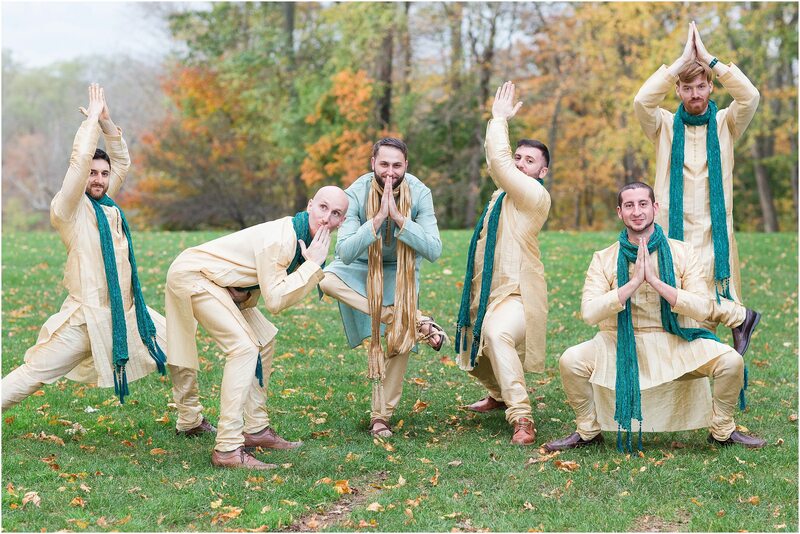 And the guys were totally willing to let out their goofy sides, posing in dance poses for their picture. 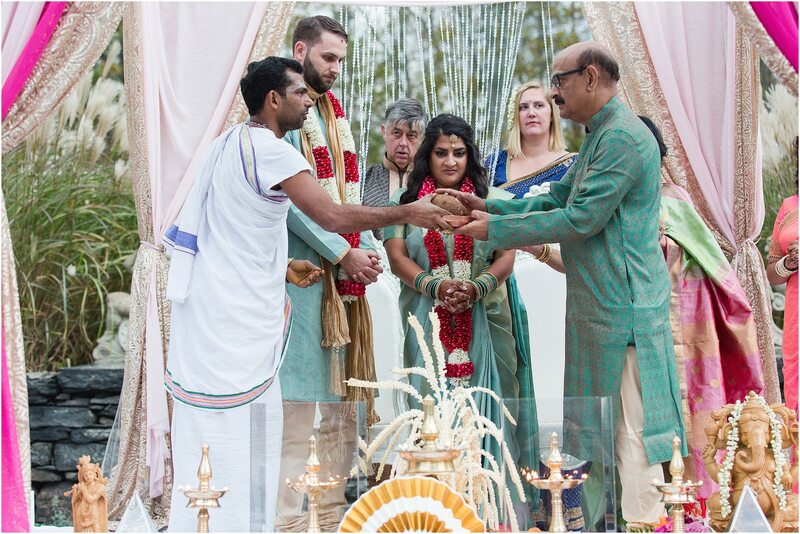 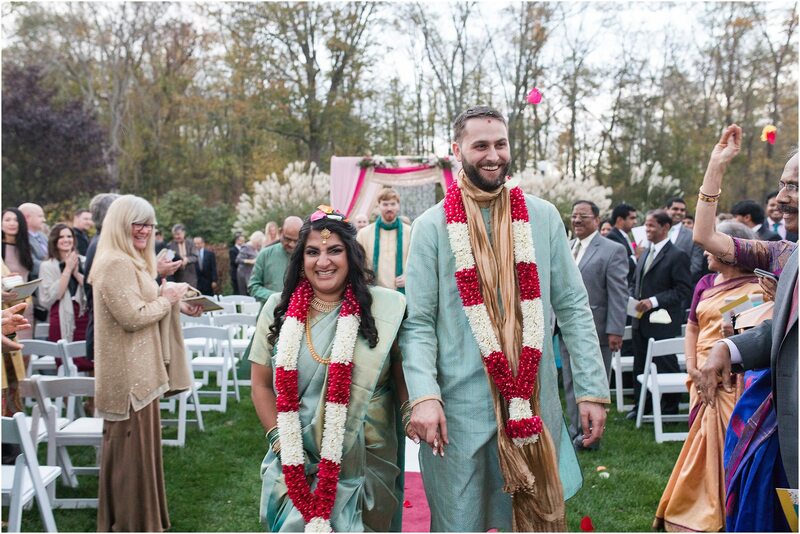 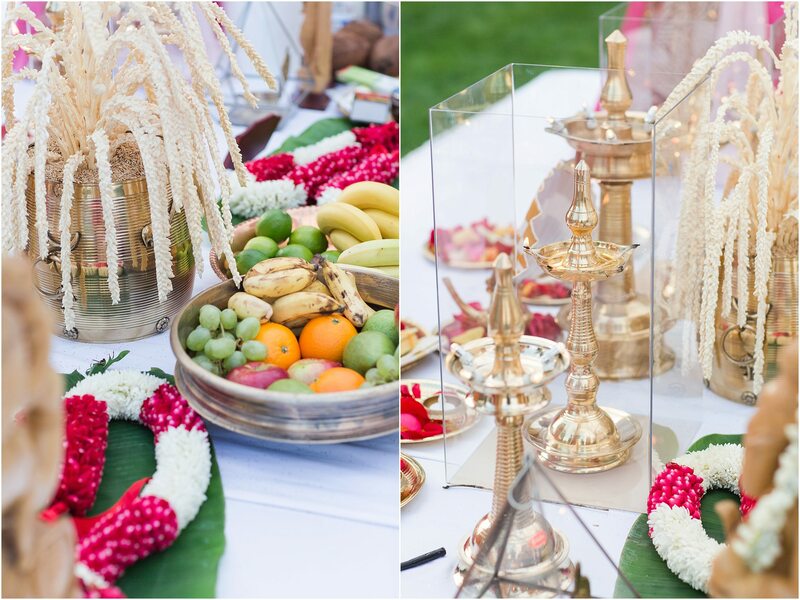 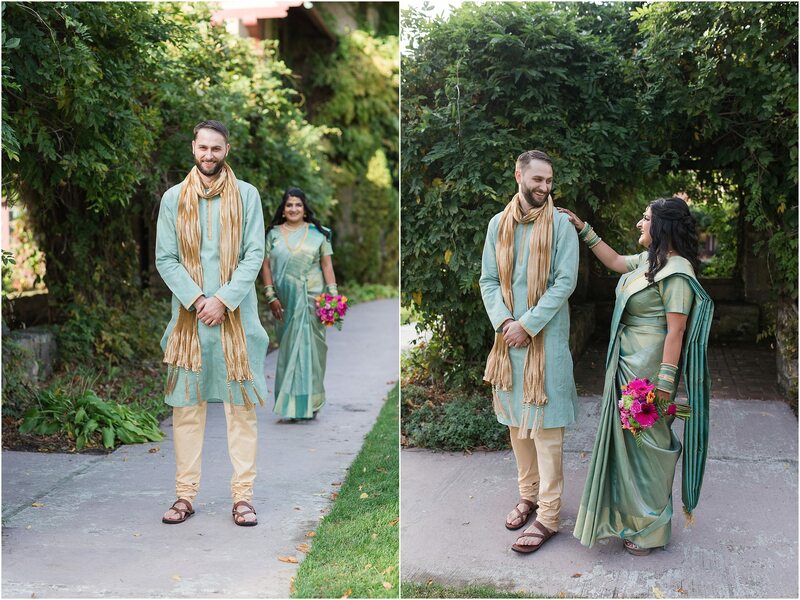 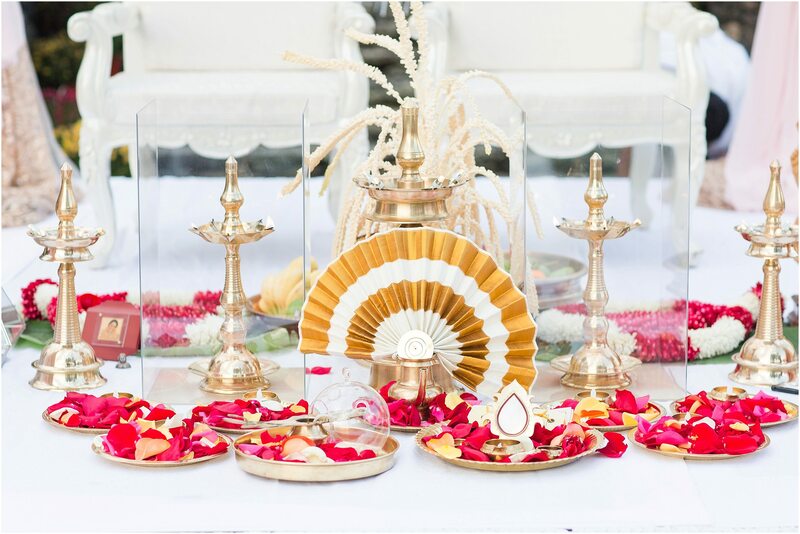 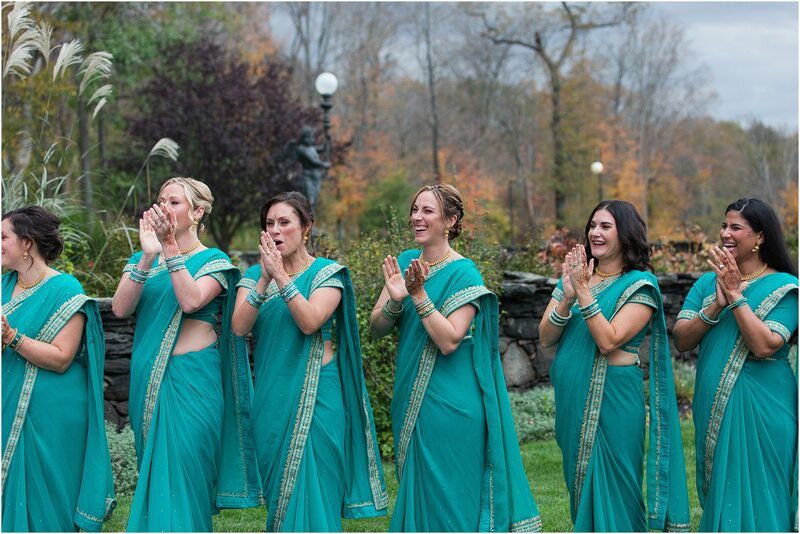 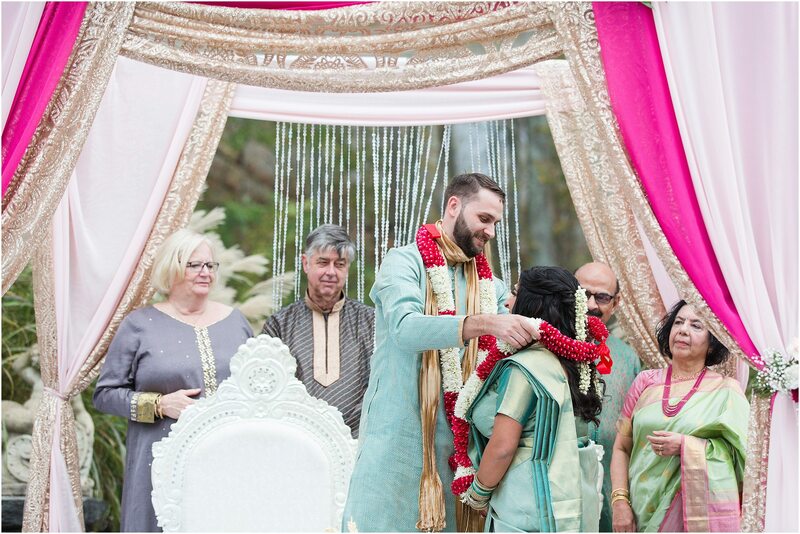 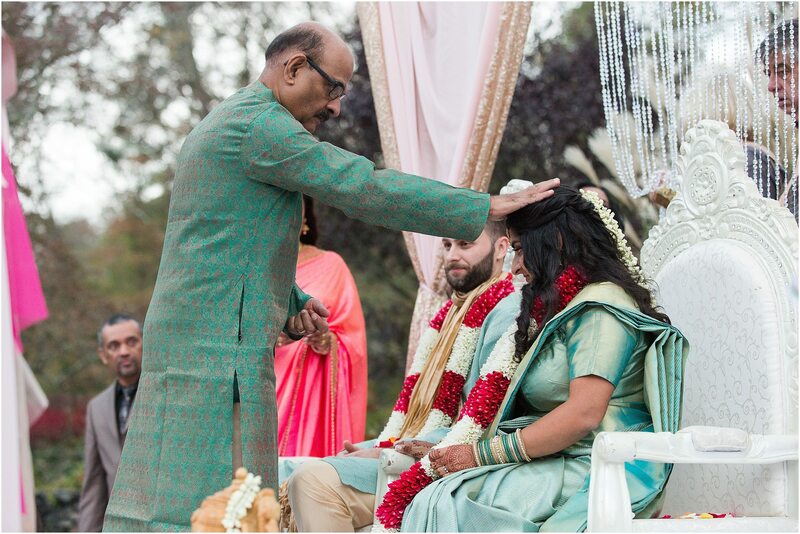 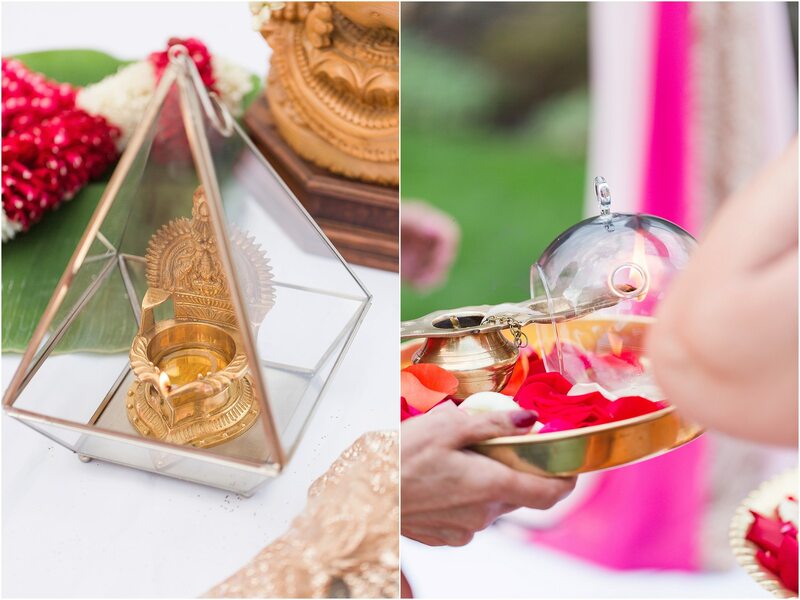 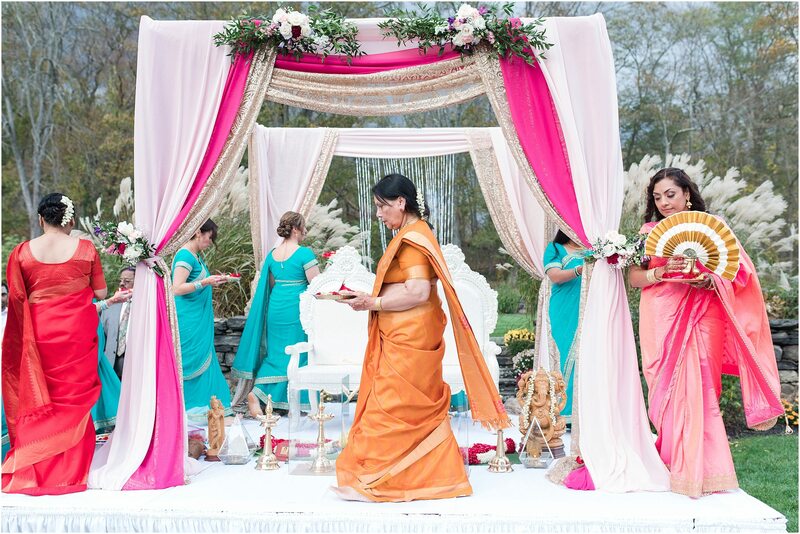 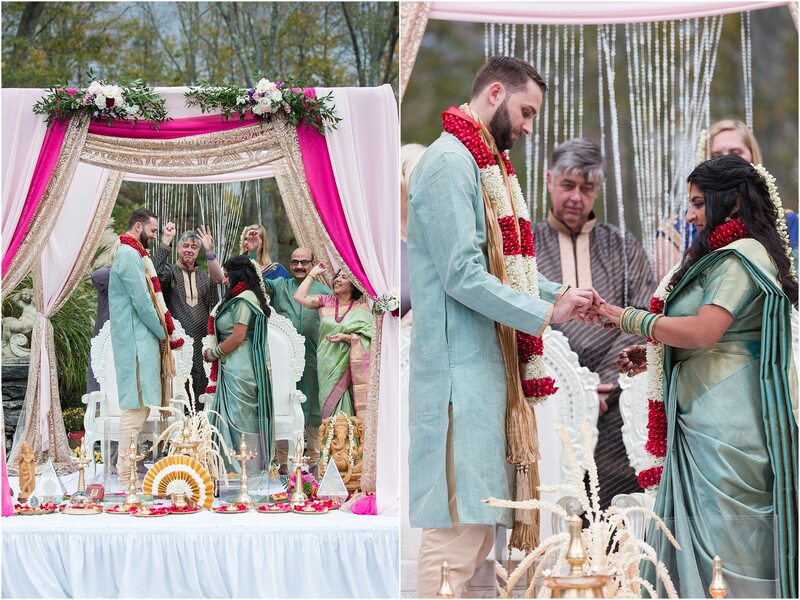 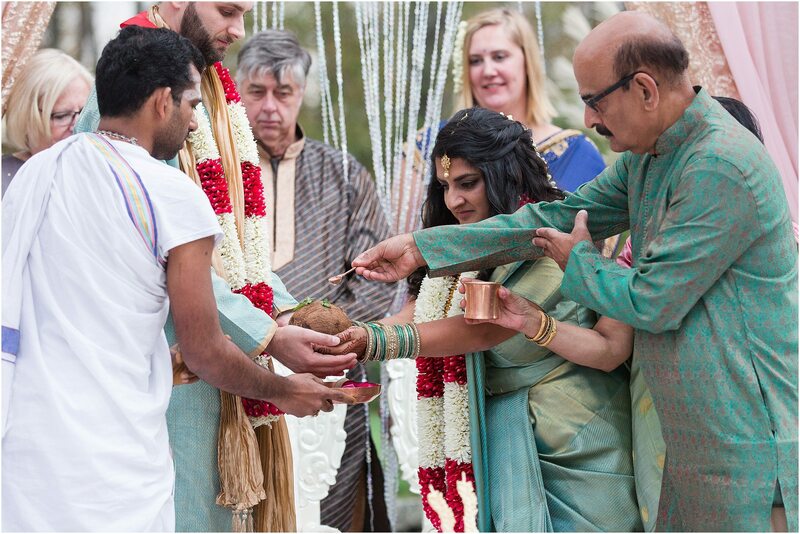 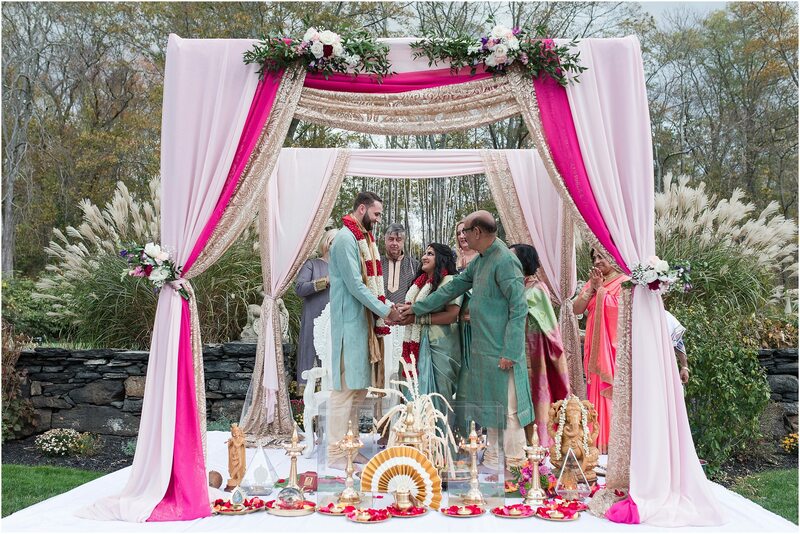 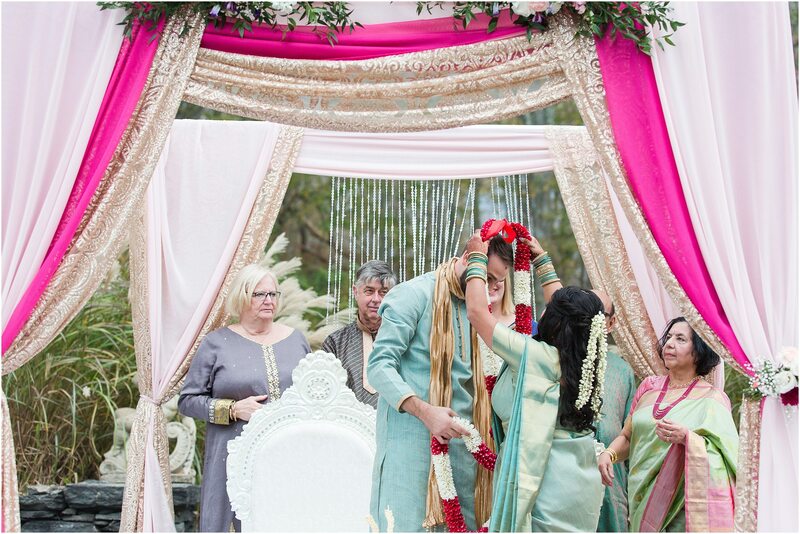 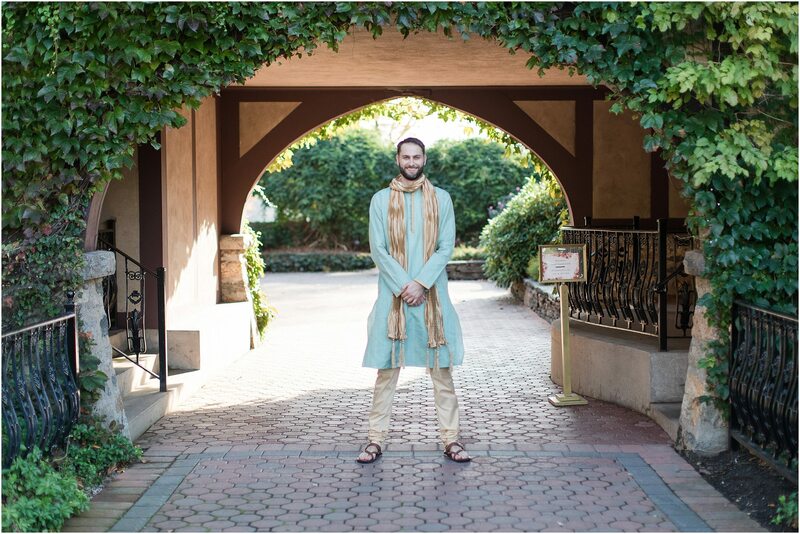 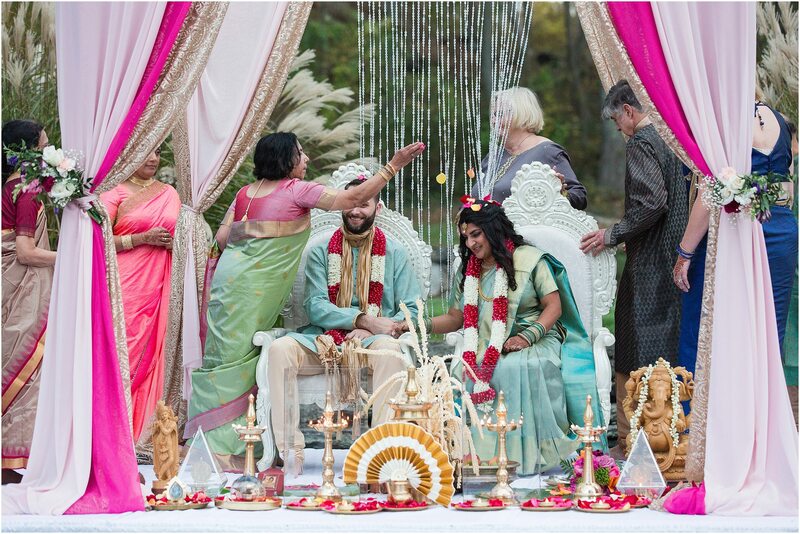 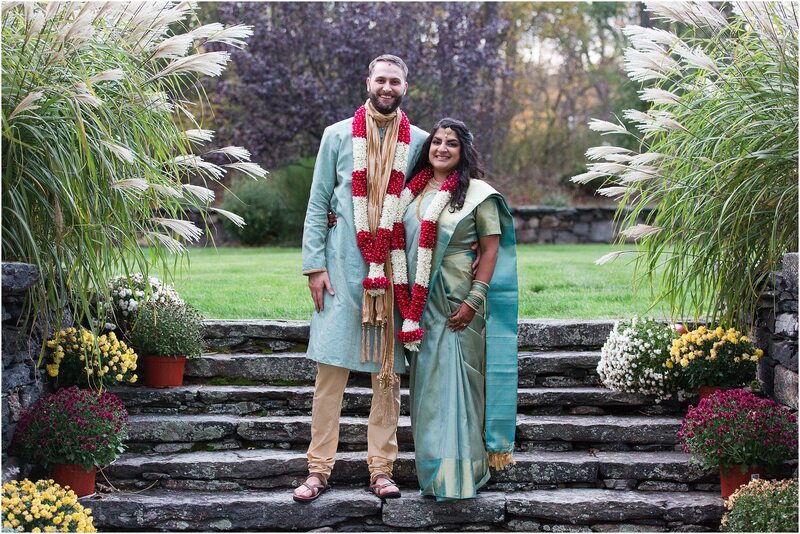 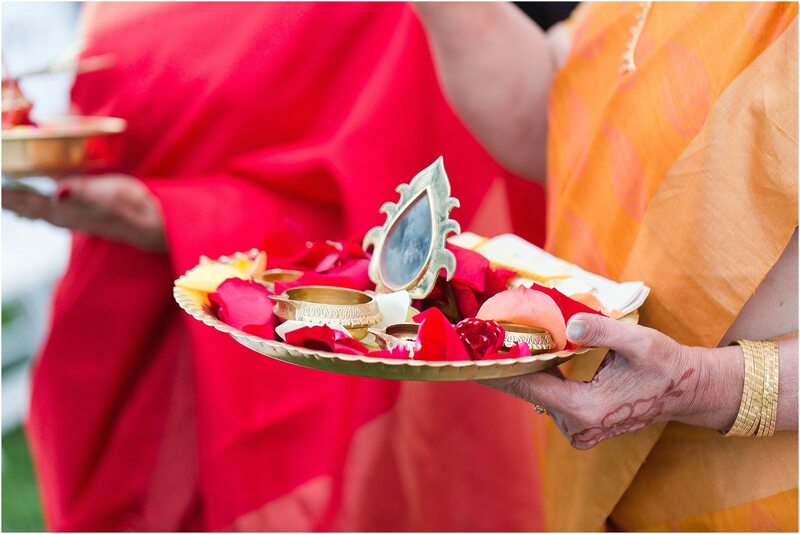 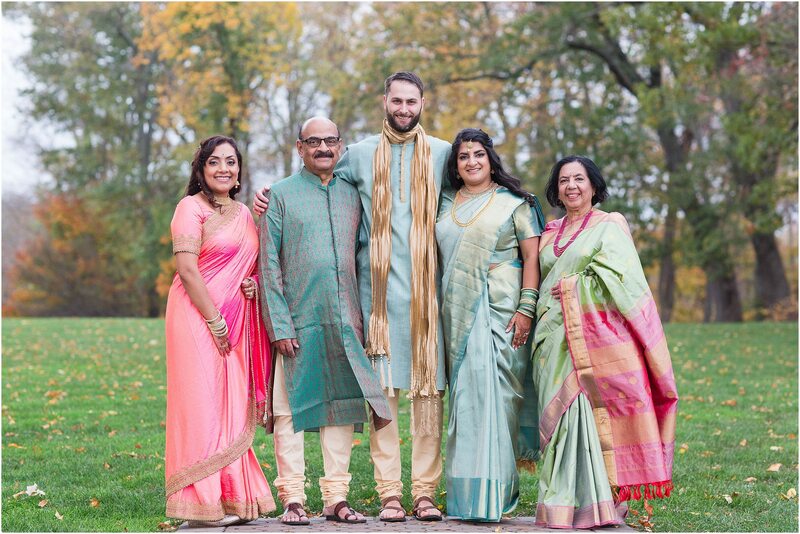 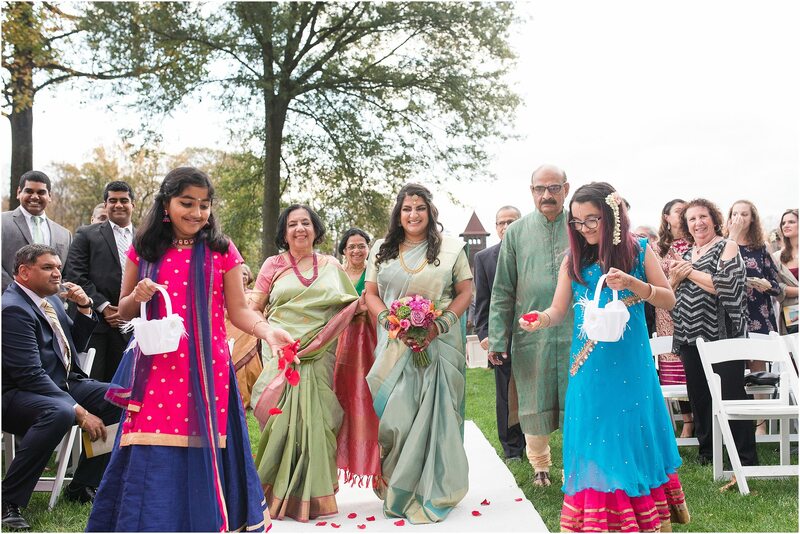 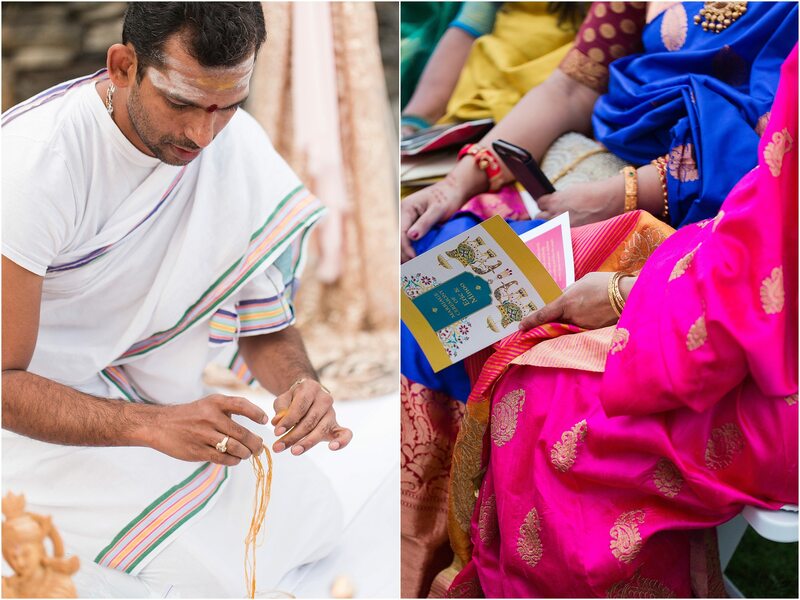 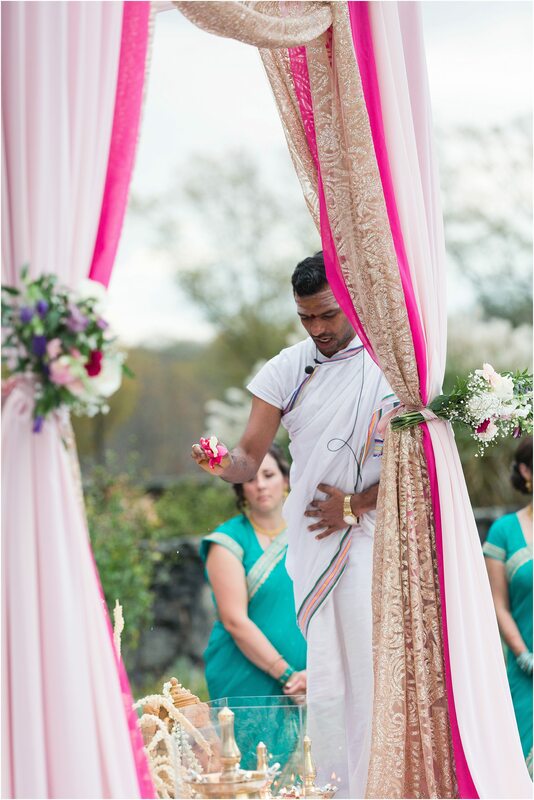 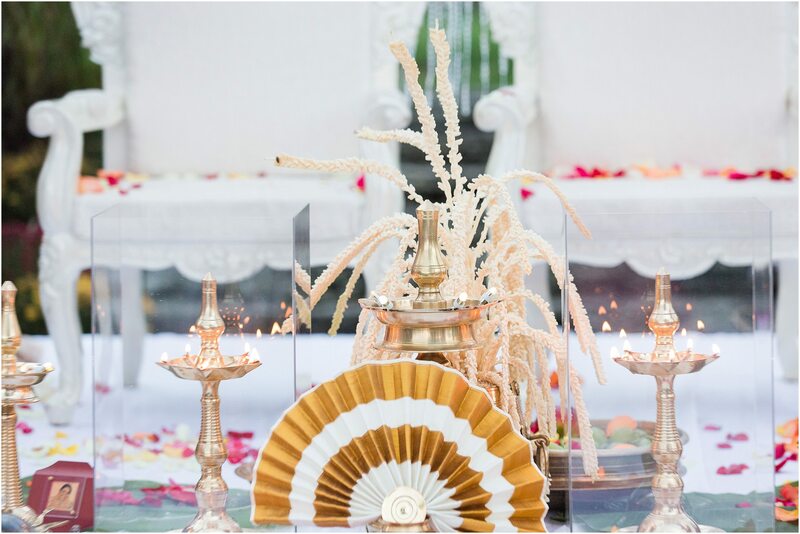 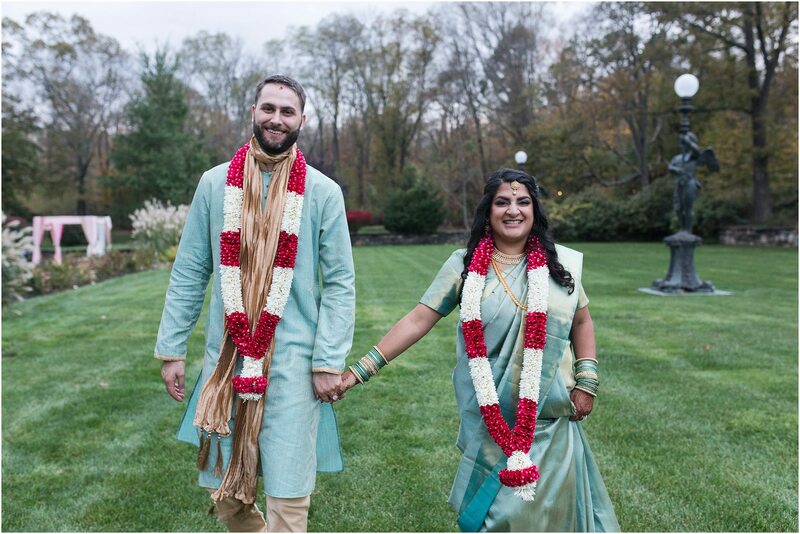 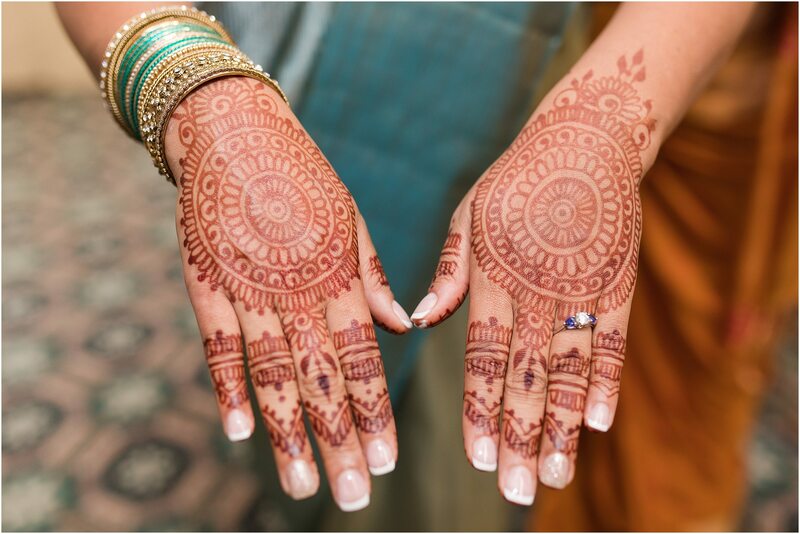 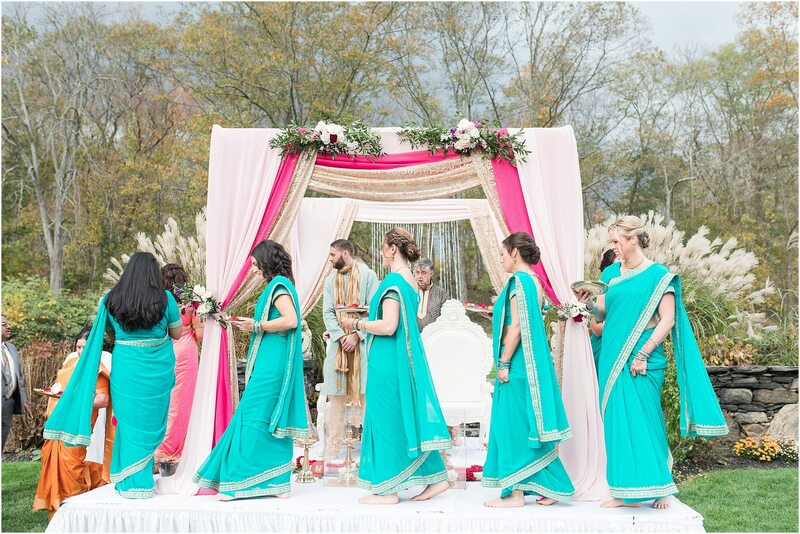 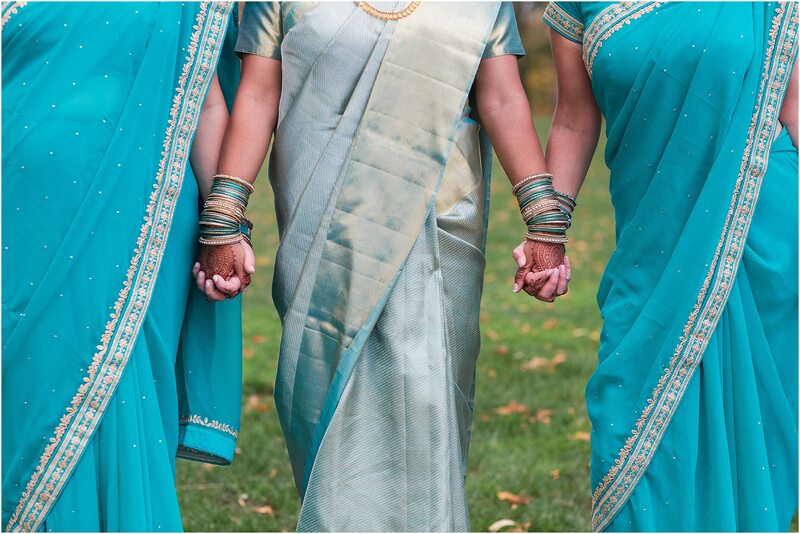 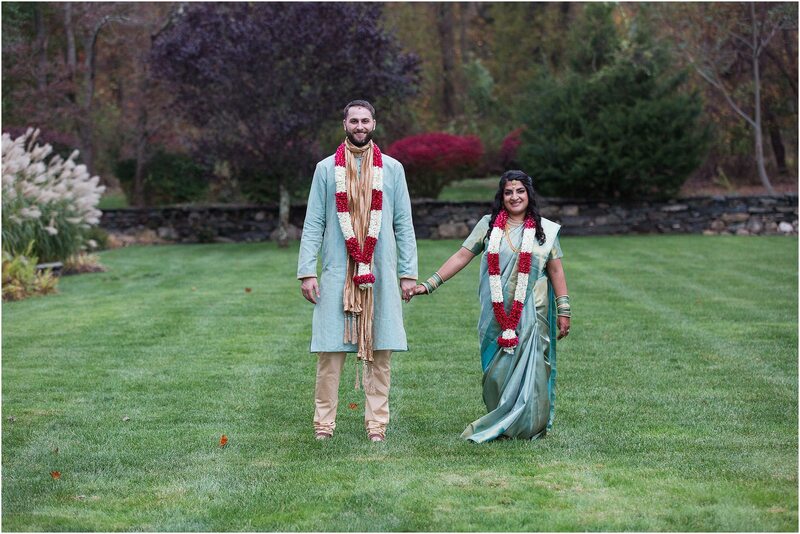 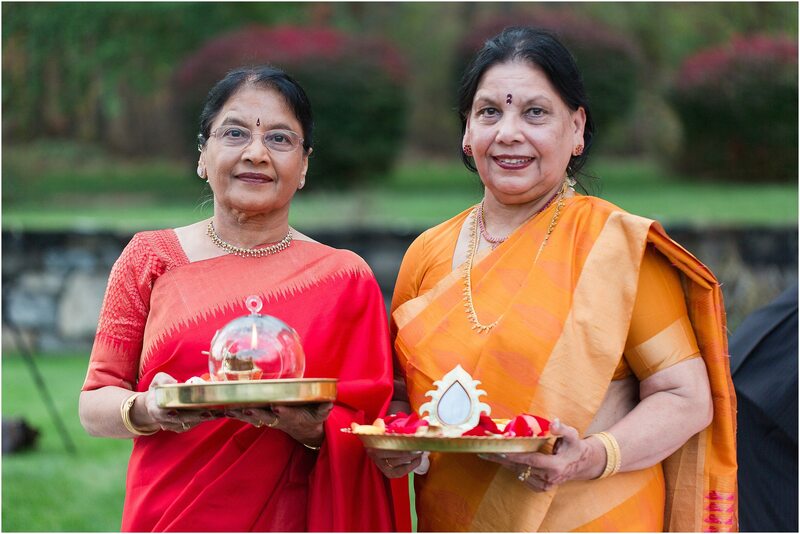 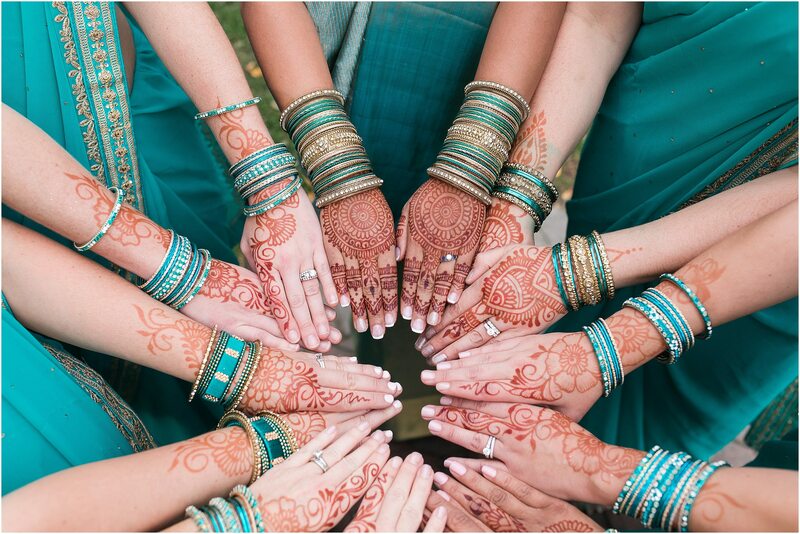 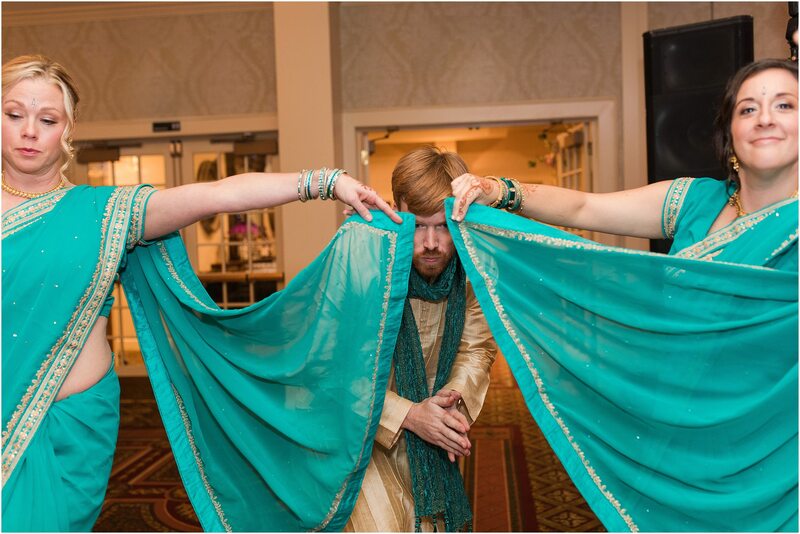 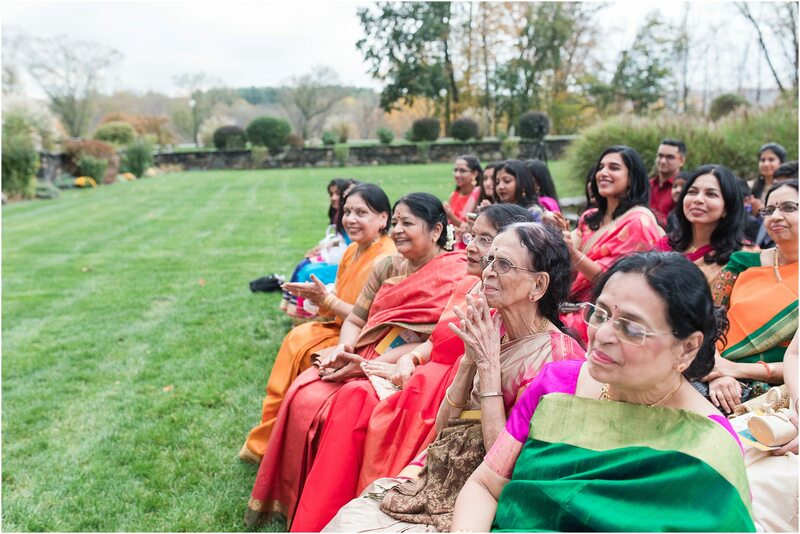 The traditional Indian ceremony was one of the most beautiful I have ever seen. 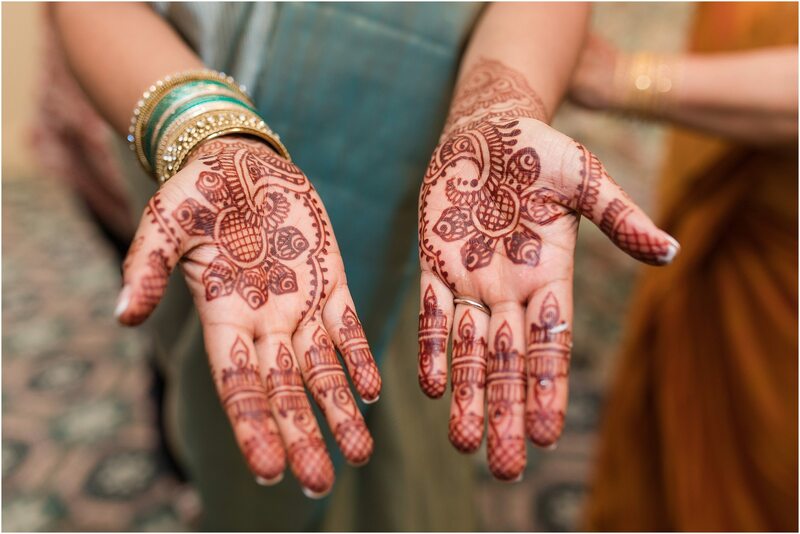 Everything was connected, and you could feel the deeply spiritual nature of everything that happened. 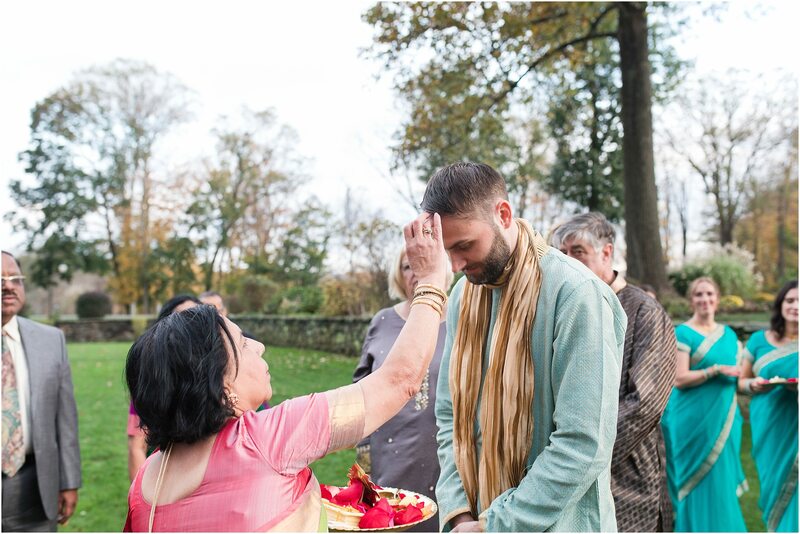 One of my favorite moments of the day was watching the many blessings exchanged, especially when their parents were honoring and blessing their children. 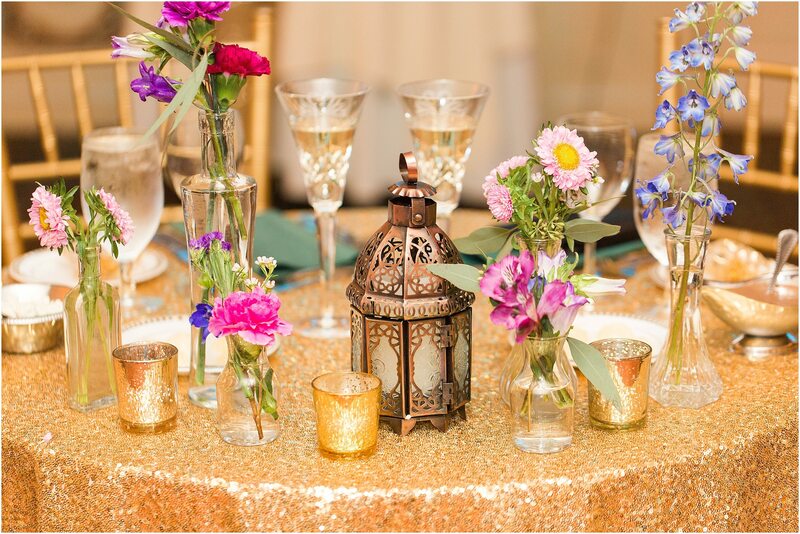 After the ceremony, it was time to celebrate in the ballroom at Saint Clement’s Castle with so many beautiful details that I was never at a loss for things to photograph. 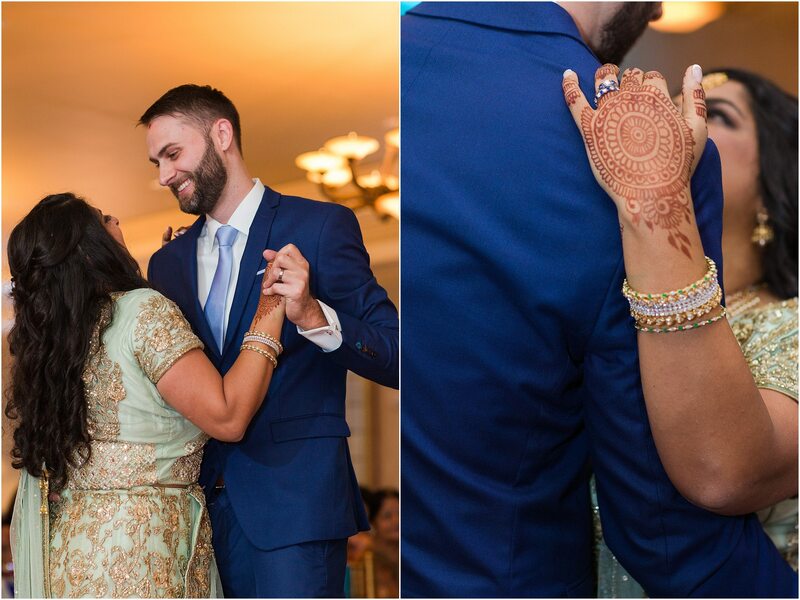 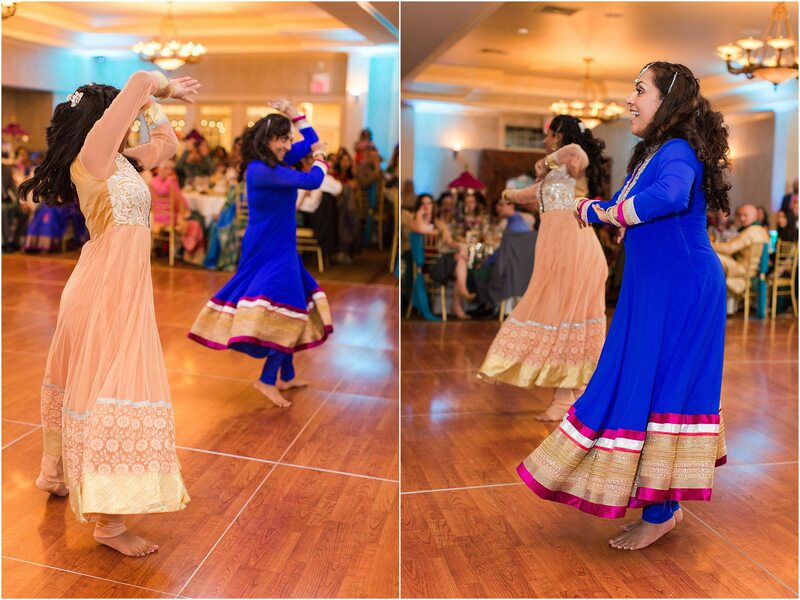 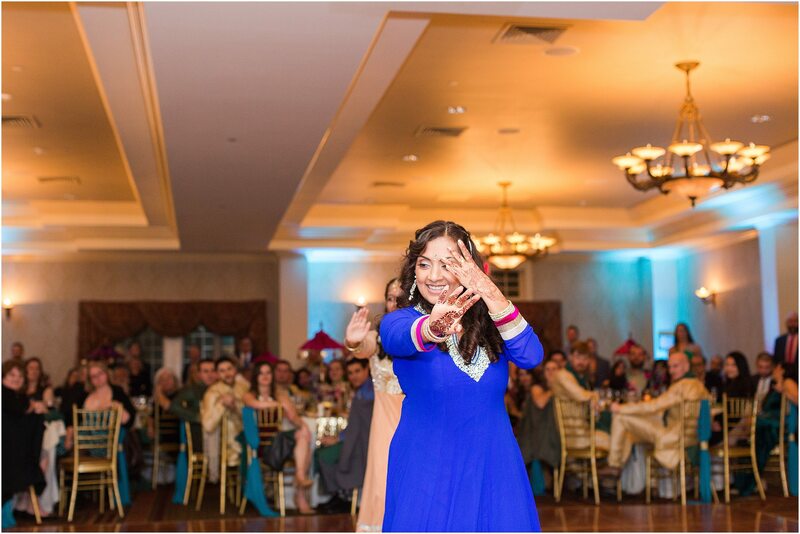 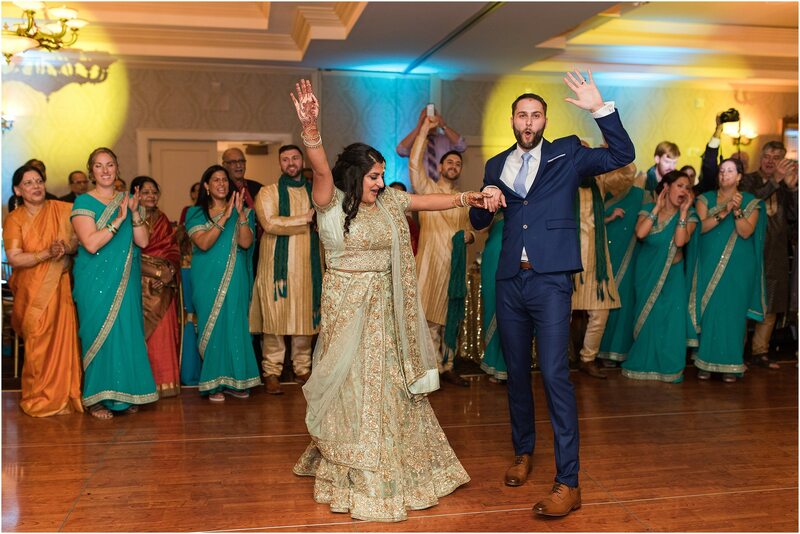 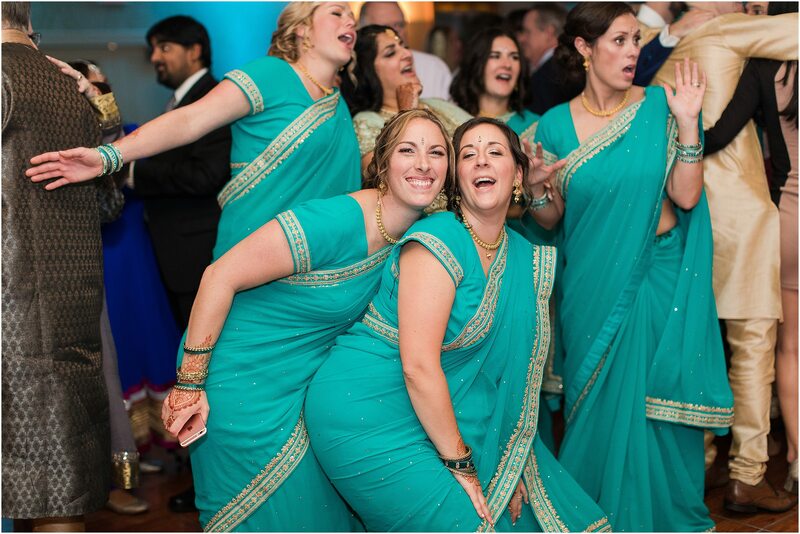 After speaches, Minoo’s sister and cousin performed a beautiful dance to celebrate the couple. 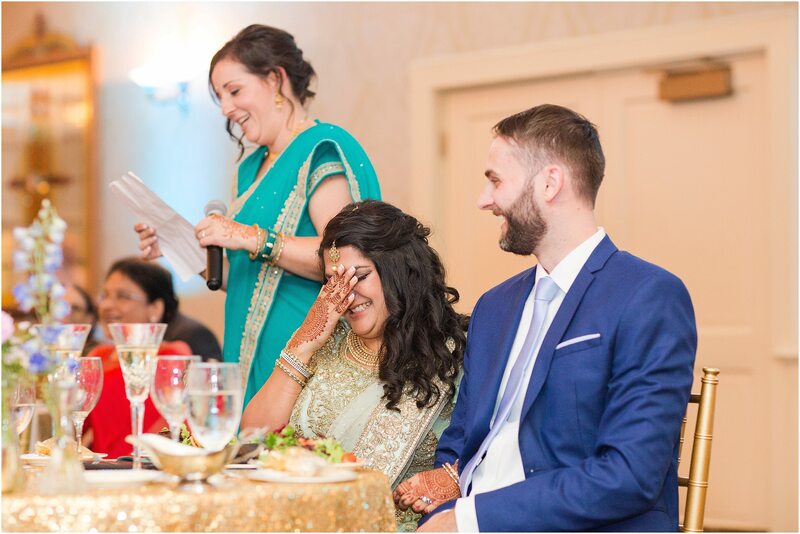 The guests all had a blast; it was obvious to see that they all genuinely loved Minoo and Eric and were thrilled for their union. 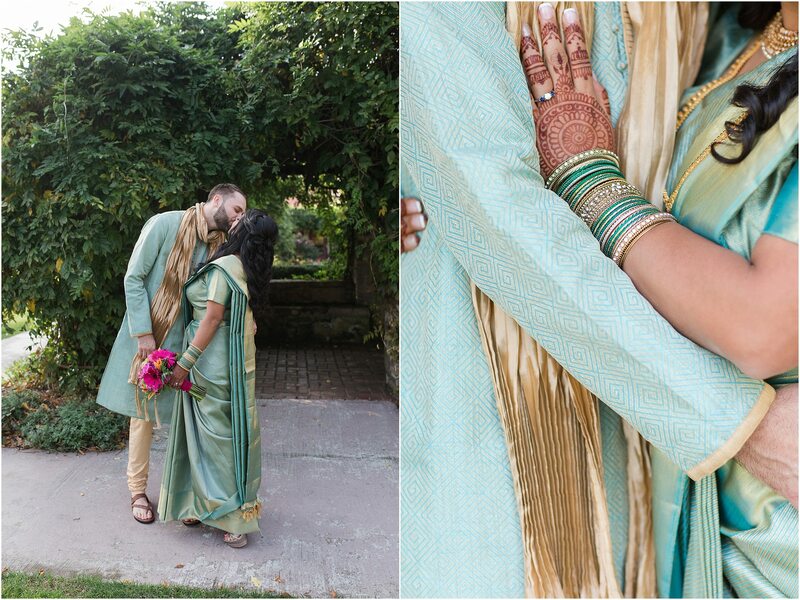 Eric & Minoo, thank you for letting me be part of your beautiful day. 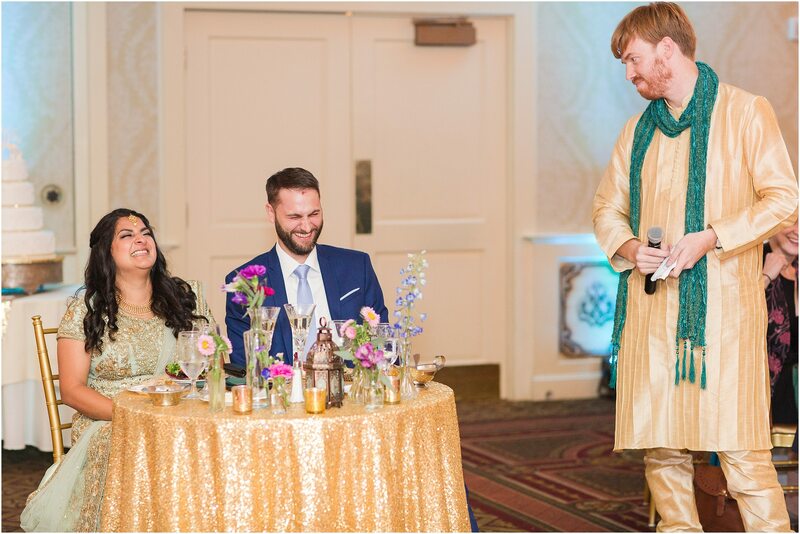 You two are some of the best and I’m so grateful that I can call you friends. 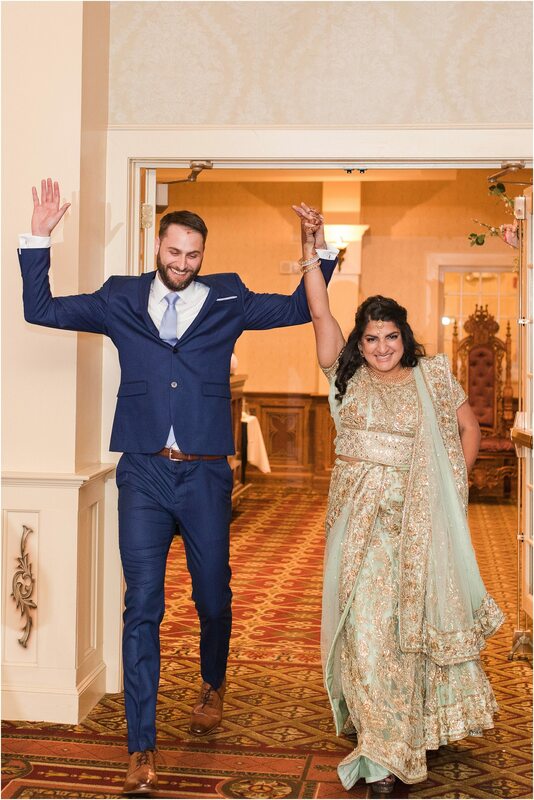 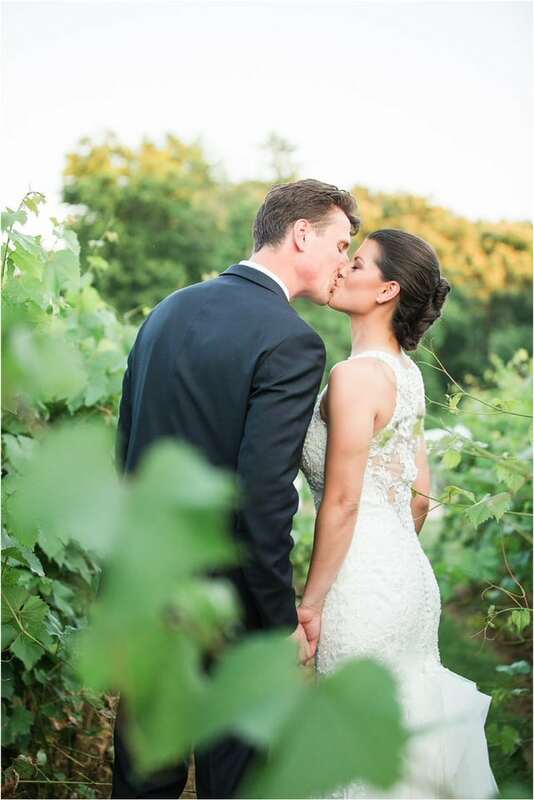 Cheers to a bright, beautiful life together.